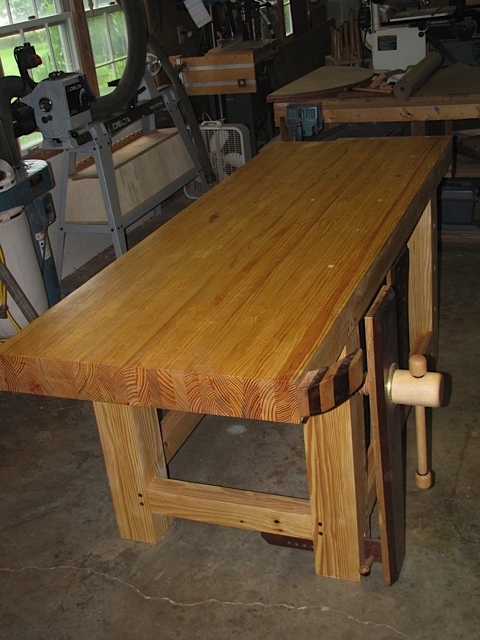 Adding our August 2011 Workbench of the Month from Jim W. of Chapin, South Carolina to our Lake Erie Toolworks Blog for ease of access and historical awareness. 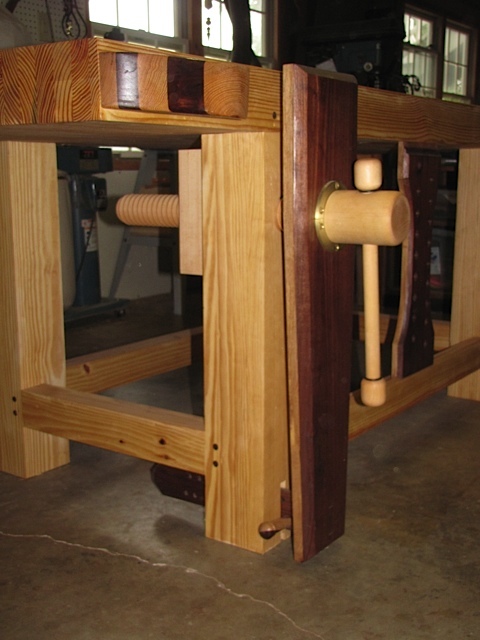 The centerpiece of my (crowded) workshop is my recently finished Roubo-style work table starring the Lake Erie Toolworks vise Screw Kit. 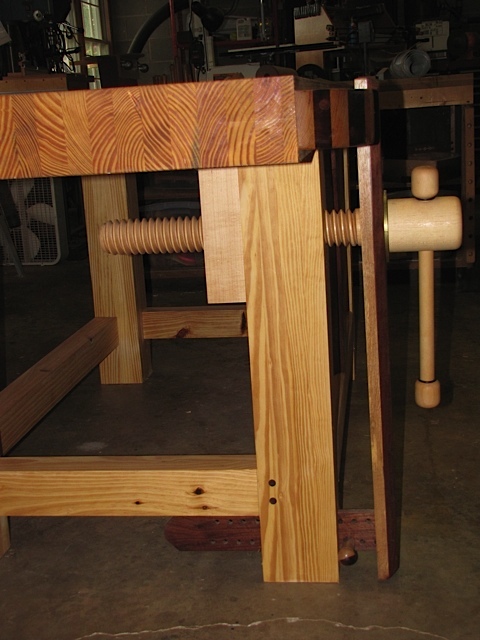 The kit is installed through the 5 1/4 inch square leg which is attached with mortise & tenon to the 4 inch thick table top, further secured with pegs.The entire table, which measures 84 by 31 in., is made of southern yellow pine; each section of laminate is 2 in. thick. The height of the table is 34 in. 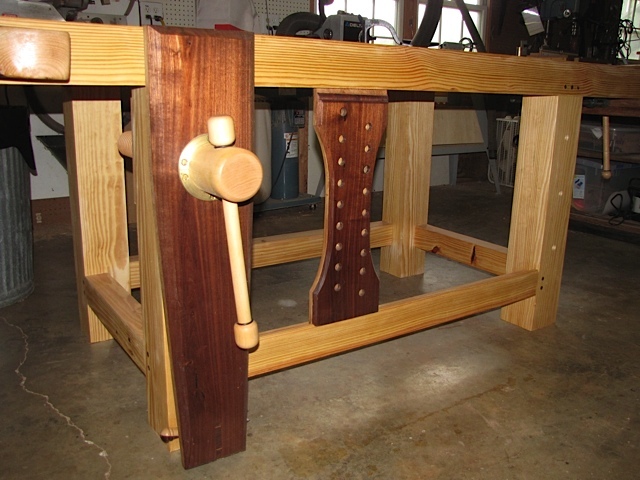 The leg vise jaw is walnut laminated to hickory, as are the crochet and deadman. 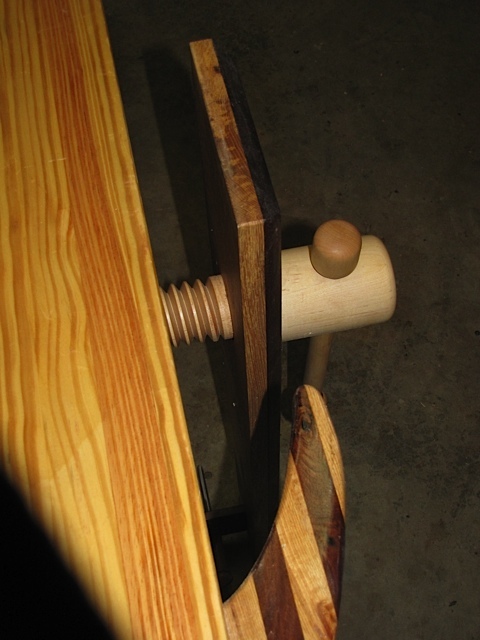 Approximately one gallon of Titebond glue was used in the construction and one quart of Waterlox to finish it up.